UNESCO has marked International Children’s Day by calling out the Australian government for denying refugees and asylum seekers the right to education. 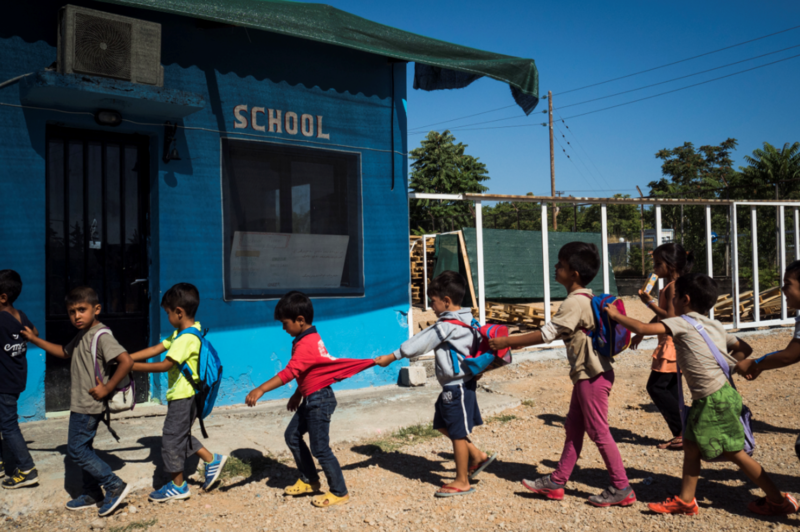 The United Nation’s education organisations ‘Building bridges not walls’ 2019 report found the number of migrants and refugee school-aged children around the world has grown by 26 per cent since 2000 – and most are missing out. UNESCO Director General, Audrey Azoulay, said in the foreword: “Currently, laws and policies are failing migrant and refugee children by negating their rights and ignoring their needs. Migrants, refugees and internally displaced people are some of the most vulnerable people in the world. The report found the right to education for refugees and asylum seekers has been challenged in schools, and often denied by some governments, including Australia. In the two years since the New York Declaration for Refugees in Migrants in 2016, refugees have missed 1.5 billion days of school. Although Australia’s education policies towards legal migrants are some of the most inclusive around the world, it falls within the top ten countries for targeting the education needs of immigrant children, parents and teachers. The report found that refugees often lack education before displacement. In a study of 2,400 people granted permanent humanitarian visas in Australia, 23 per cent of females and 17 per cent of males were illiterate on arrival. Australia was one of the only two among 21 high income countries to adopt a multiculturalism curriculum in 1980, with only four more adopting it by 2010. It was also one of the only countries to update its textbooks of migration and colonisation over the latter half of the 20th century. Prior to this, earlier texts said the gold rush drew immigrants from Europe. More contemporary texts questioned the impact of Aboriginal and Torres Strait Islanders. The report lists the challenges to fully inclusive education for migrants. As with many European countries, immigrants often end up segregated into specific and disadvantaged geographical areas, which compounds their education. “Ignoring the education of migrants squanders a great deal of human potential. Sometimes simple paperwork, lack of data or bureaucratic and uncoordinated systems mean people fall through administrative cracks,” Azoulay said.